Say goodbye to 16 km long trek and complete the Kedarnath yatra by helicopter with safe and reliable Aviation Services provider, Arrow Aircraft. Arrow Aircraft is the preferred choice when you are looking for Safety, Integrity and Efficiency. Give yourself the experience of a lifetime, see the breathtaking aerial view of the Kedarnath Dham and get lost in its beauty. With a short time of 7 minutes (one side), the Bell 407 Helicopter completes as many as 20 trips in a day. 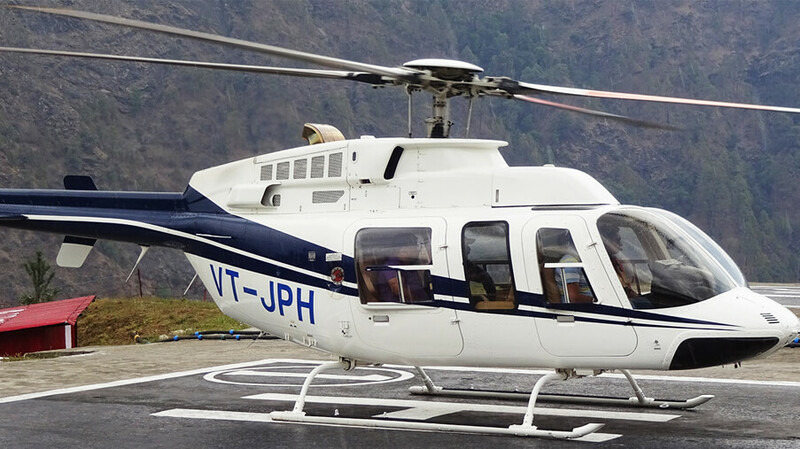 To avail the services of our 6 seater helicopter we provide Kedarnath Helicopter Service Online Booking and Kedarnath Helicopter Ticket Online Booking so that you can literally book from anywhere! Kedarnath is one of the most sacred pilgrimages of Lord Shiva situated in Rudraprayag district of Garhwal region in Uttarakhand. 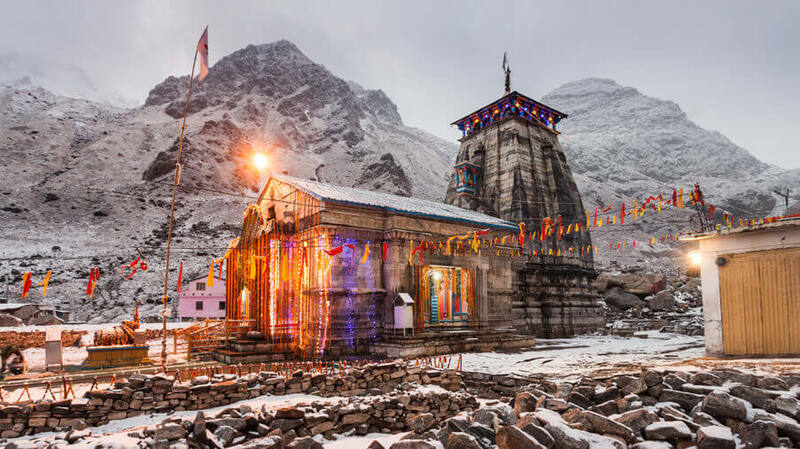 Kedarnath is one of the Char Dham in Uttarakhand and the most important dham among Panchkedar. Kedarnath is situated at an altitude of 3586 mts, in the lap of the majestic mountain peaks and near the head of river Mandakini. In the Kedarnath range stands one of the twelve Jyotirlingas of Lord Shiva. I have used Arrow Aircraft’s charters and other aviation consulting, and am impressed with their professional approach in delivering efficient and high-quality service.The team at Arrow have been reliable and have delivered my travel requirements and have also accommodated my last minute changes. Arrow Aircraft has been providing operational management services to Government of Maharashtra for its helicopters and fixed wing aircraft since 2012. We are happy to delegate the responsibility of flying VVIPs safely and timely to a company whose operational and administrative team demonstrate high level of professionalism. They meet the exacting requirements led down for VIP flying without compromising the Safety and Regulatory requirements. Acquisition Consultancy for purchase of my helicopter VT-JPL was provided by Sanjeev Choudhary and Rohit Kapur. The helicopter was purchased and operationalized with active participation from them. I am extremely satisfied with the services provided Sanjeev and Rohit. Founder and CEO, ACE Commercial Company Pvt. Ltd. I have been dealing with the Arrow Team for aircraft purchase and charters for many years now, and I find them to be a very responsible and professional company. It is a pleasure to work with them. Span Air acquired B-250 (VT-SMR) in 2014 from Textron. Arrow Aircraft provided us the dealer services to our utmost satisfaction. Mr. Sanjeev Choudhary not only provided the necessary assistance but also accompanied us to USA for a very smooth and deliberate acquisition process. We wish Arrow the very best in all its future endeavours!